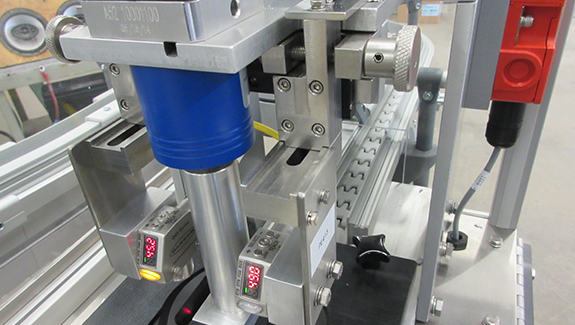 The Hoosier Feeder Company Rotator Actuator is yet another device geared toward design flexibility. 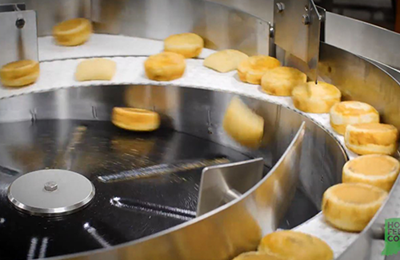 When designing a feeder, there are some part orientations that make for a more robust and reliable feeder concepts than others. 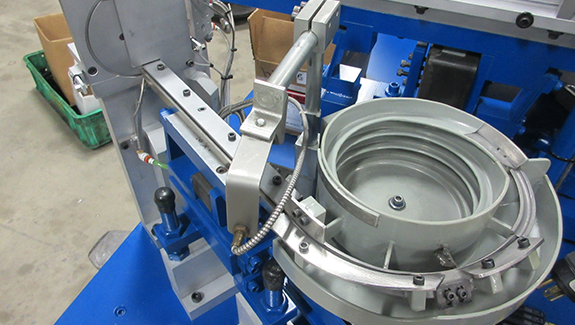 When the feeder’s “ideal orientation” does not match what our customers require, sometimes we can use a rotator actuator to achieve the correct final orientation while using the best tooling concept in the feeder itself. 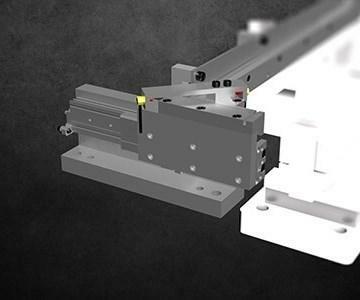 Additionally, the rotator actuator can be used to expose an area of the part that collets, gripper fingers, and other tools can engage. 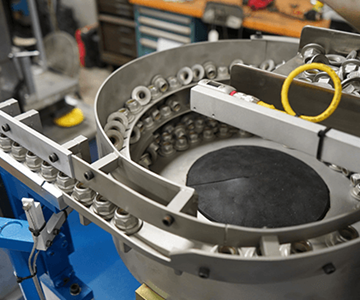 Using a rotator actuator to expose critical areas on the part allows designers to use more traditional end of arm tooling instead of specialized equipment saving valuable troubleshooting time and money.